Here at Golden-B-Bear we put a lot of effort in preparing our pups for their new homes by exposing them to many sounds, simulations, different textures of floors, smells and socialization with different people and children. doing all this on a positive reinforcement of good experiences so that your pup will be less fearful and more outgoing to new places and things. It is important to continue this training once you get your new puppy. Your new puppy needs to be exposed to the things you do like boating, hiking, car rides, swimming etc....by the age of 4 months old. This is a critical time to expose your puppy to what you want them to be and share in your life experiences with your family. 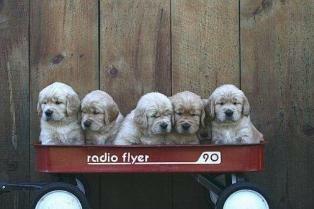 Please click on link below and listen to the benefits of socialization in young puppies. 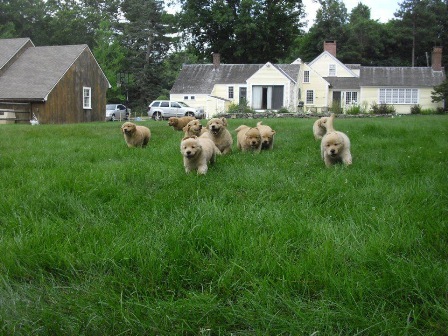 We recommend to sign up for a puppy class that reinforces positive training. A wonderful book to read before you get your puppy is Puppy Trek written by my friend Kathy Goodman. please check link below and order your book today. Images & Text in this site pink panther slot are Copyright - DO NOT COPY!